This one's from the brand new Jewel Heist fall collection. It's another chunky multicolor glitter in a colored jelly base like Stronger, but this one's all shades of gold and green. 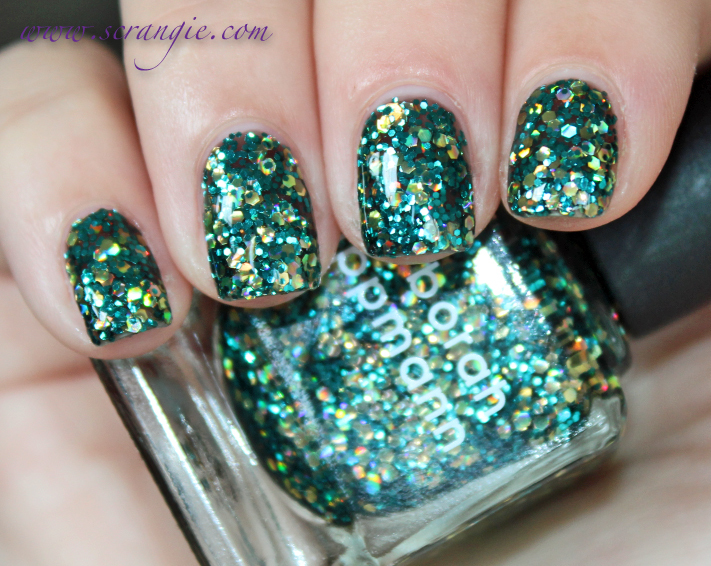 Deborah Lippmann Shake Your Money Maker. This has a blue-toned green jelly base with multiple shapes and sizes of green and gold glitter. Small, medium and large hex and round plus a bit of hologram for even more sparkle. Looks like Christmas. The formula on this was a little better than Stronger because it wasn't as thick. I still needed to do the dabbing method to get an even coat of glitter, plus pressing down the pieces between coats to make it smooth. It only needed two coats for complete coverage this way. Long dry time and needs lots of topcoat. The formula is no fun to apply, but, just like Stronger, I think the end result is worth it. Look how rich and shiny it is! It's like a treasure chest full of emeralds or something. Glitter everywhere. Too pretty. Ohhh my goodness! This is beautiful! You make me want all of these DL's you've been posting!! This has a unique mix of colors. I'm liking it! Sooo pretty! I agree, very Christmassy. This is absolutely gorgeous! I have to buy this! No matter how hard it is to get on I agree the payoff looks worth it! Eeeee! Sooooo pretty, and you always make it look 10x more amazing... but I just don't do greens, and am envious of those that can pull it off. I'm so glad you reviewed this... PLEASE review Va Va Voom and Glitter and be Gay, I am eagerly anticipating those the most. these are so beautiful! I definitely need to buy it. Are these limited edition? Yeap! 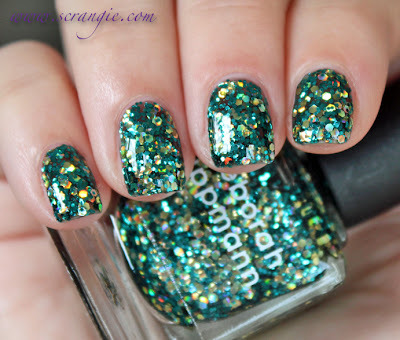 This is yet another gorgeously mixed polish! love this one too! This shade is to die for! i'm just so disappointed with the formula :( i think i am going to take mine back, sadly. also i didn't really know if i was supposed to do a base coat--tried and decided it was no good either way. Look like bokeh effect on your nails! Love it ! 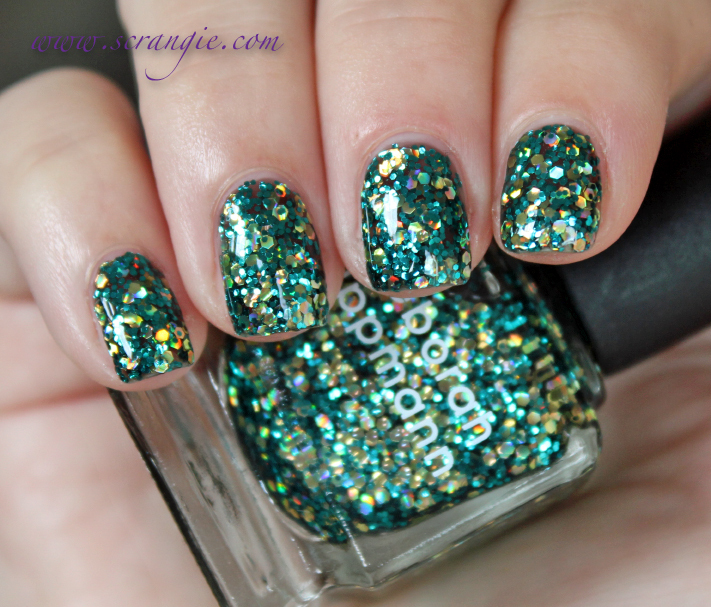 Look like bokeh effect on your nails!! Gorgeous !